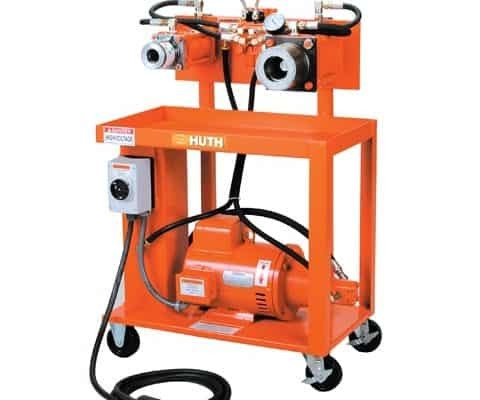 Mounted on its own easy wheeling cart, Huth’s Model 1674 portable expander equips you to use all existing Huth expanding tooling. 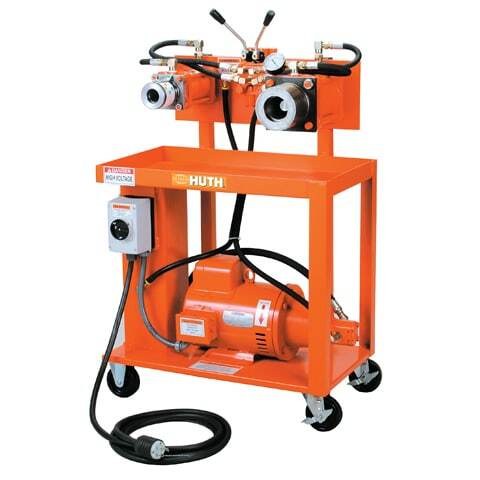 Now with the powerful 5″ cylinder you can expand tubing from 3″ up to, and larger than 6″ diameter, 3″ deep. The large tray allows you to keep your tooling within easy reach. Just wheel the 1674 to where the work is. *Includes 41047 Accu – Sizer adjustable collar for the 3-1/2″ cylinder, and the 527 adjustable collar with the 528 collar extension for the 5″ cylinder. The 3-1/2″ cylinder produces 25,000 lbs. of expanding power. The 5″ cylinder produces 49,000 lbs of expanding power.